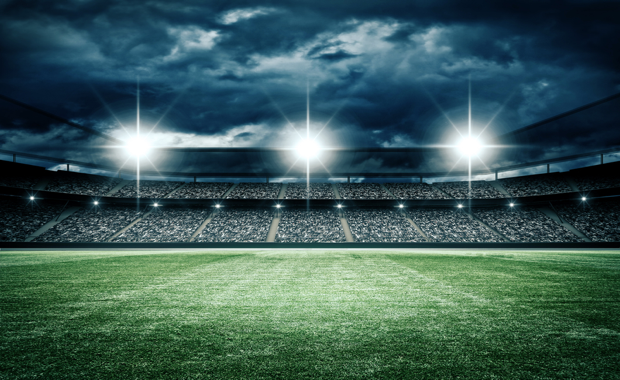 Lendlease, Laing O'Rourke, John Holland and Brookfield Multiplex are leading the race for Parramatta's new stadium, which is limited to contractors with an annual revenue of $1 billion or more for the past three years. The NSW government has set strict criteria for would-be bidders for the $300 million stadium and also requires any consortium taking part in the tender to show a track record of at least two stadiums completed in the past 10 years, say sources with knowledge of the tender that opened last week. Together with the transformation of ANZ Stadium into a world-class rectangular venue and the refurbishment of Allianz Stadium, this $1.6 billion package represents the biggest investment in sport, entertainment and the visitor economy in NSW since the Sydney 2000 Olympics. The new 30,000-seat Western Sydney Stadium — which must be completed by April 2019 — will be built on the Pirtek Stadium site at Parra­matta and is a key component of the government’s program to improve sport and major event infrastructure, compete with Melbourne and increase the city’s capacity to attract big-ticket crowds. Infrastructure NSW said expressions of interest were due by June 22 and three bidders would proceed to the request for tender stage. The applicant’s lead designer must have designed a stadium in the past decade that is still operational. The new Western Sydney Stadium is the first of a network of contemporary venues that will enable NSW to maintain competitiveness in the national and international sporting and event market, creating thousands of jobs. The new Western Sydney Stadium will include a new rectangular playing field and facilities for teams, media, administration, amenity and maintenance. It will be used for major sporting events by multiple codes including the Parramatta Eels for rugby league and the Western Sydney Wanderers for soccer. The existing stadium will be demolished to enable the construction of the new Stadium on the site with demolition work expected to commence in early 2017, subject to approvals. The new Stadium will open in 2019. The new stadium will be delivered by Projects NSW, a specialist project delivery unit of Infrastructure NSW, in close partnership with Venues NSW which manages the existing Pirtek Stadium facility as well as other government owned sporting and entertainment venues in the Hunter and Illawarra. The contract to design and construct the new stadium will be awarded in late 2016.